Classic Tallis steel engraved map yielding amazing detail. Accurate mapping surrounded by six delightful vignettes including a Mongol nobleman, the Fortress and Palace of the Dalai Lama in Lassa and Chinese Wall amongst others. 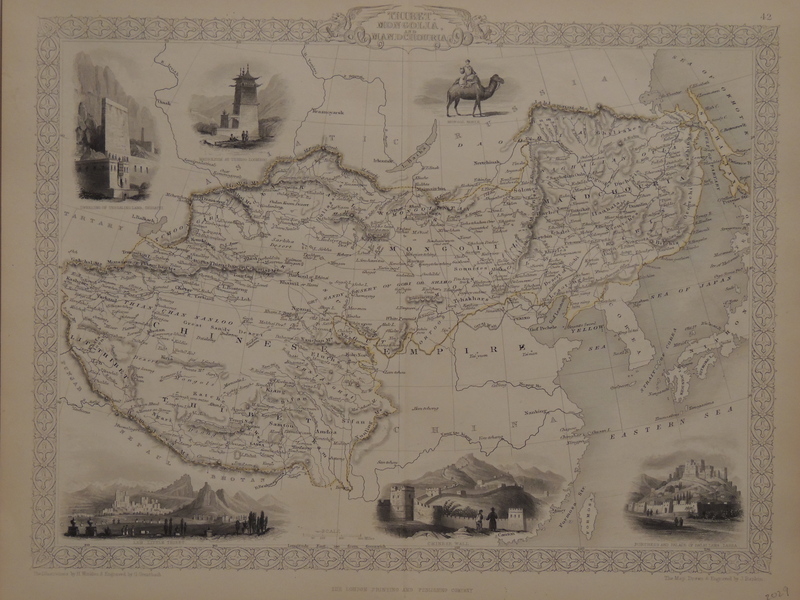 Original color outlines the subject regions carefully excluding India, Nepaul, Bhotan, the Chinese Empire, Corea and Japan.